Much about Kazakhstan remains mysterious to the rest of the world. “Where is it?” and “What language do they speak,” and “Why would anyone ferment camel’s milk?” are a few of the questions people tend to ask when you say “I work in Kazakhstan.” But the country has one particularly effervescent little secret: its beer. Yes, liquor is still pretty popular and sparkling bottles of vodka line the supermarket shelves – but pints and mugs and pub culture is taking hold on the steppe. When your fearless author first arrived in Astana, before the jet lag had worn off, she was told by her new Kazakh friends that they’d be taking her out to a great place right near her house. I quaked a bit inside. I had ideas about what ‘going out’ in Kazakhstan would mean, and they involved warm vodka, Eastern European techno and staggering out of some club at sunrise, full of regret. And, as I’d feared, as I walked with my new friend through the sunlit summer night, the sound of club music wafted toward us. We drew closer to the stereotypical club – velvet stools; bottles on low tables; tall, beautiful women ignoring men in ties. The music grew louder as we approached. I cringed a little; I’m not much of a club person. We were upon it. Expensive bottles of spirits lined the bar I spied as we walked past the filmy white curtains separating the beautiful club-goers from the rest of the folks wandering past. But then we kept going. I followed my friend through two huge wooden doors, and suddenly the floor was stone, the walls old timber, the music shut out. We followed this tunnel deeper into the building, passing more wooden doors and medieval iron knockers. “We’re not going to the club?” I asked. The final set of doors opened into a beer-lover’s wonderland the likes of which I never expected to find in the middle of the steppe. (I was thinking more camel’s milk and cafes.) Heavy wooden tables spread across the beautiful stone slab floor. A massive copper brewing apparatus took up the whole back corner of the huge room, blockaded off by a beautiful, tall wooden bar and, glory be, taps. “Do you like beer?” my Kazakh friends asked. I nodded enthusiastically. They looked relieved. A waiter approached. Craft beer is high on the list of a lot of pleasant surprises for foreigners in Astana (a list that for me includes the salty string cheese, chechil; the gorgeous sky; the good roads and the abundance of homemade pickles at the markets). It’s become popular in the last five or so years, and has given rise to a number of beer-focused restaurants, places that are proud to make and serve their own suds in what used to be the heartland of kumys and vodka. But Astana is not yet exactly a draft beer smorgasbord. Except for a few places in the capital, your options are “light” and “dark:” pilsners, lagers or wheat beers or malty, dark ales and the occasional stout. All are always between 4-5 percent alcohol. If you drink the light stuff, what you’ll get is most often “live” beer – beer that is unpasteurized and unfiltered, naturally carbonated, served from the cask it was brewed in and therefore containing traces of microflora and active yeast strains, so it’s potentially full of probiotic goodness – and, arguably, good for you! I can raise a glass to that. 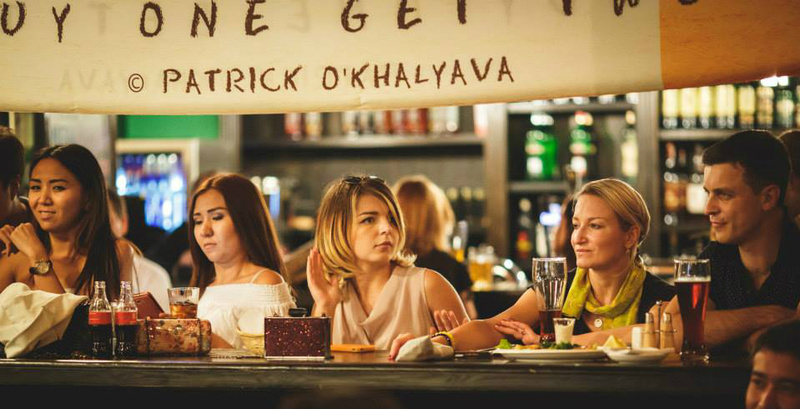 “We produce two types of beer – a pale one and a dark one,” Vitalyi Gubert, production engineer and brewer at Pivovaroff, a classic Eastern European-style stone and wood restaurant and brewery on Astana’s right bank, told EdgeKZ. He’s worked at the restaurant for seven years now and comes from a family of brewers – his father works at the Karaganda brewery that produces the bottles and cans emblazoned with a huge brown eagle that take up a lot of space on supermarket shelves here. 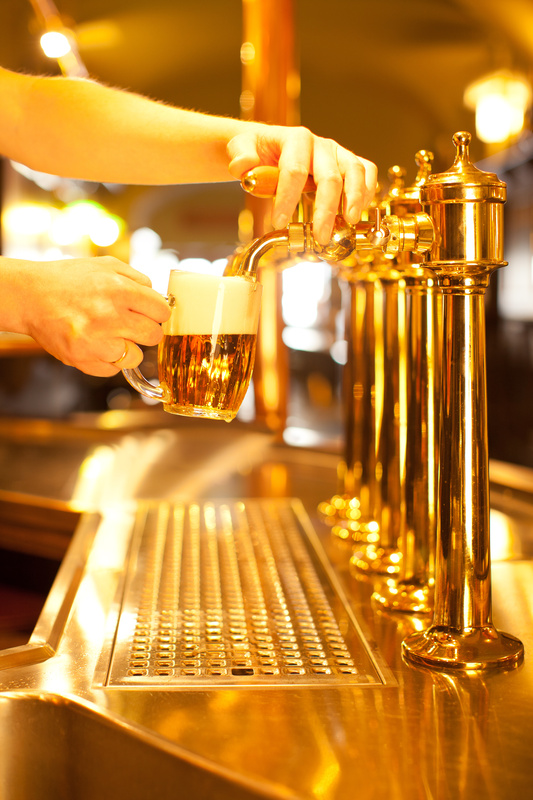 “When my father was in Germany for a workshop, he said to me that most of the classical beer restaurants have only two types of beer – a pale and a dark one. And that is enough,” he said. All Pivovaroff’s beer is brewed on site and can be seen in the two copper vats at the back of the restaurant. They get their malt and hops from the Czech Republic and their French dry and pressed yeast from a company based in Almaty. Though he believes in the classic dark and light beers they serve, Gubert is interested in making something new sometime soon. “I would like to produce a new kind of beer. I hope we will try something new in the future. I like, for example, Belgium’s Leffe beer,” he said. “I want to make our beer taste like home for those who came from Europe,” he said. Pivnitsa holds a special place in my heart as the place I was first taken in Astana for a beer and the place I discovered the wonders of chechil, a salty string cheese that goes perfectly with it. Sitting incongruously under the Radisson Hotel on the bank of the Yessil River, Pivnitsa is another pleasantly dark Czech beer hall that looks like it ought to be lit by torches and hung with garlic to keep out vampires. It too serves two types of beer, dark and light, the light an unfiltered, live beer. “This business was launched by a Czech brewer, whose father and grandfather were beer-makers as well. He showed us the brewery facilities and the beer making process,” said administrator Rustam Aitkenov, and he returns once a year to check on the operation. 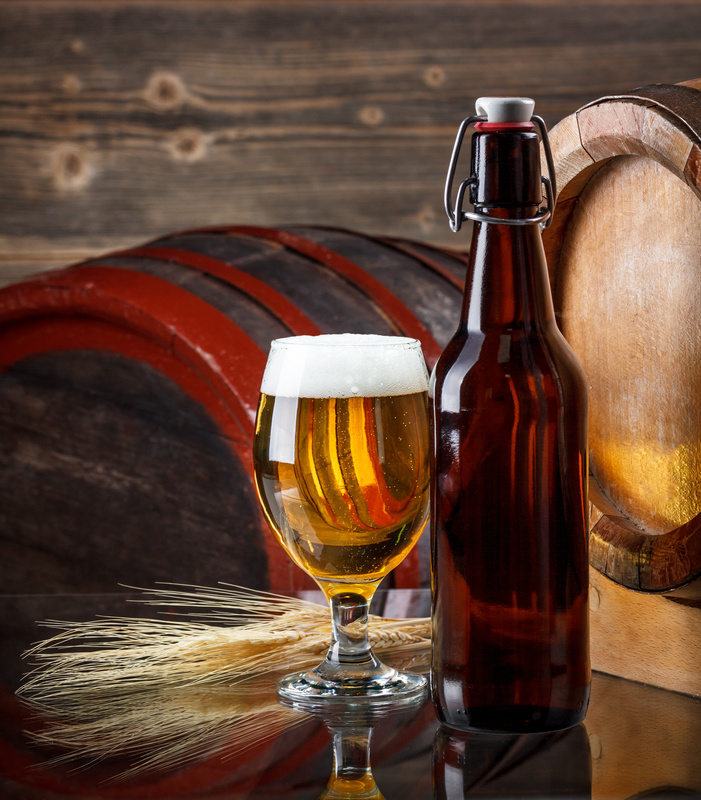 Their light beer is made with two types of malt – barley malt flour and caramel malt – while the dark is made with three – barley malt flour, caramel malt and toasted malt. “The malt and the hops are imported from the Czech Republic, so the beer is based on imported ingredients with some additional local components.” They don’t use preservatives, he said. Pivnitsa’s dark beer is less sweet and slightly, pleasantly bitter. “The light beer is more in demand, but the dark one has its connoisseurs as well,” Rustam said. Pivnitsa has its regulars, who are, of course, beer lovers, Rustam said. The beverage is also pretty popular among foreigners, he notes. Being under a hotel, they get a steady couple of tables of visitors a day, but most of their clients are local. Pivnitsa also has live music on Friday and Saturday nights. Mojo/Barley is a stylish, modern club and restaurant complex – think high ceilings, chandeliers and lots of glass and brick – on Astana’s right bank. It offers two house-made beers: a classic barley pilsner and a wheat beer director Stas Zotov calls similar to Colorado’s Belgian-style Blue Moon. “After the American Embassy found out that we have Blue Moon-style beer, they started to come often and order it with steaks,” he said. Like the other breweries, they make their beer on the premises (in a shining network of pipes and vats on display behind a glass wall) but import their ingredients from the Czech Republic. The beer is made with Belgian technology. Their master brewer is from Kazakhstan and was educated in beer in the Czech Republic. “According to monitoring we have conducted recently, the wheat beer is more popular right now. I think this is because the drink is soft and not too carbonated. It also gives you the feeling that you just got it from the barrel,” Zotov said. Their two light beers will have company soon, he told EdgeKZ. “We are going to produce one more type of beer – a dark one. I hope we will launch production by this winter,” Zotov said. Their new dark beer will be similar to Guinness stout, he said. About beer drinking in Astana, he said, “People like beer. 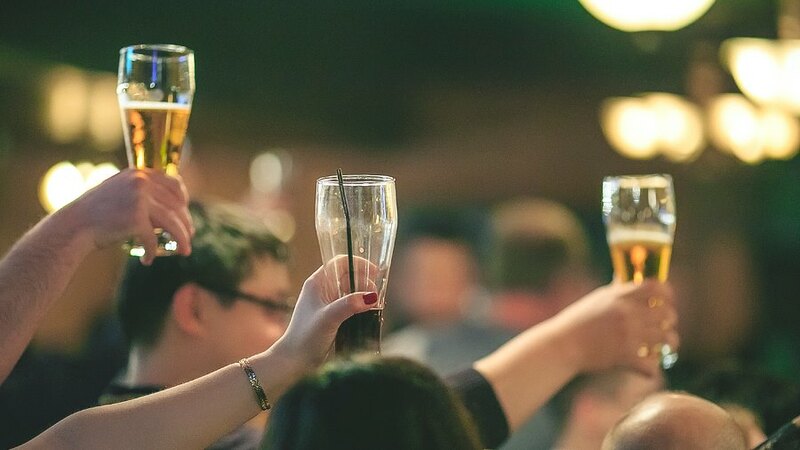 As you know, there was a World Cup recently, and a lot of people ordered beer during that time, women as well as men.” Drinking and watching sports is an equal-opportunity pastime in the Kazakh capital. 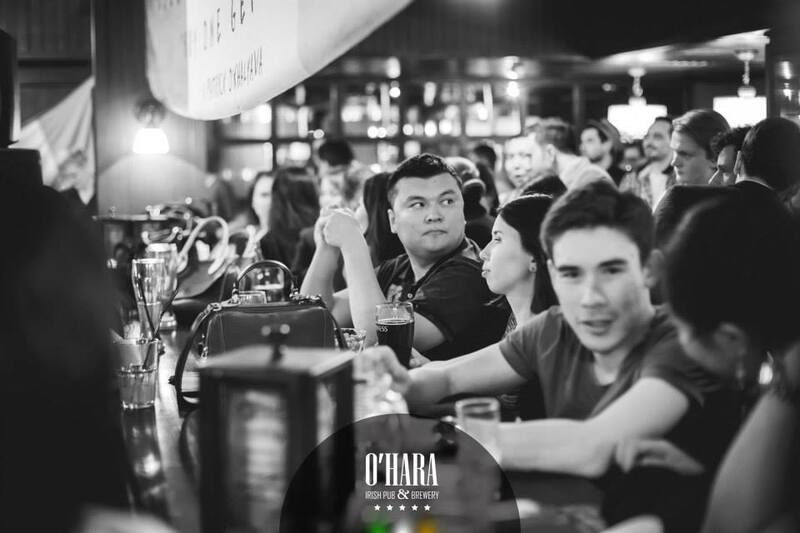 O’Hara’s is your classic, upscale Irish pub – dark wood, green felt and a very serious bar. Among Astana breweries, O’Hara is the outlier: it has 12 beers on its menu, with one additional seasonal option. 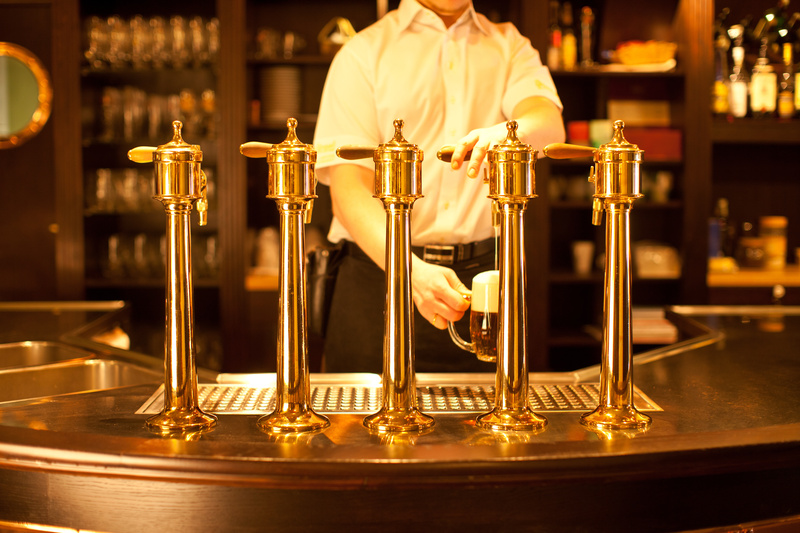 Its house-made beers include a stout and a red stout, a green beer – which their version of a live beer – and several other light options inspired by the beers of Wales and Ireland. 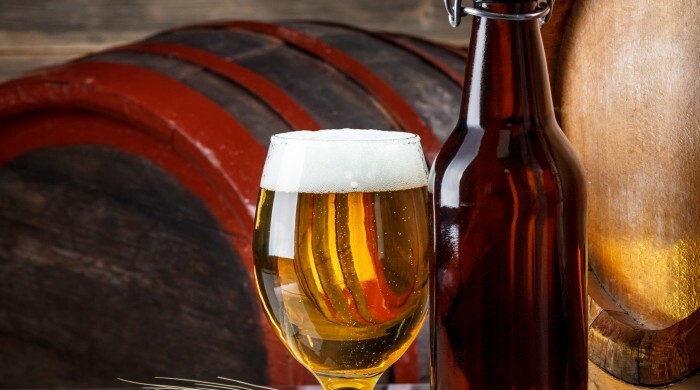 “Our analytic experts together with beer masters are constantly working on how to make the beer better and better, as well as enlarging the menu so that each guest can find his favorite beer,” O’Hara’s art director, Yevgeniya Buhmiller, told EdgeKZ. In colder months, people go for darker beers, she said, and their cherry Kriek is always popular with women. 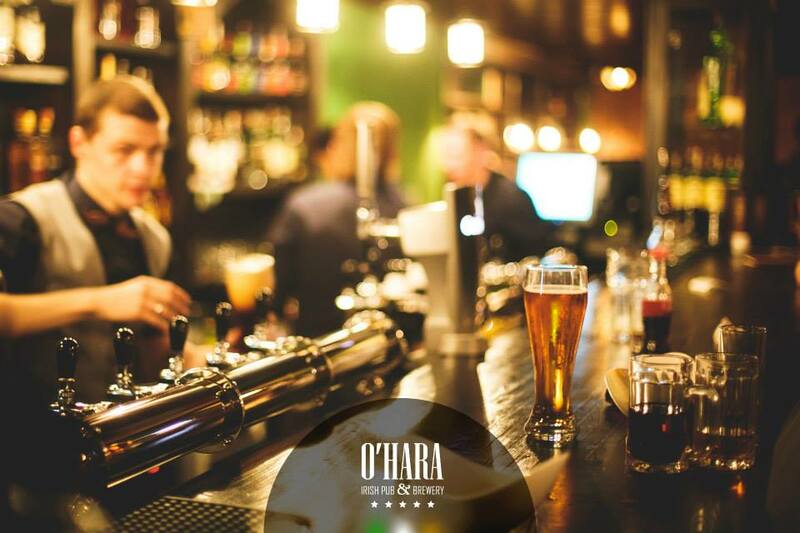 O’Hara gets its ingredients from the Czech Republic, Ireland, Slovakia, Wales and even Japan, Buhmiller said. She credits following tradition, strict quality control and creative brewers for the success of their beer. “Using their own experience as well as the experience of honored beer masters, they have created additional options to use in different stages of brewing with a help of innovative technologies,” – which, she said, are a company secret. Beer is a key product on the O’Hara menu and is their top seller. 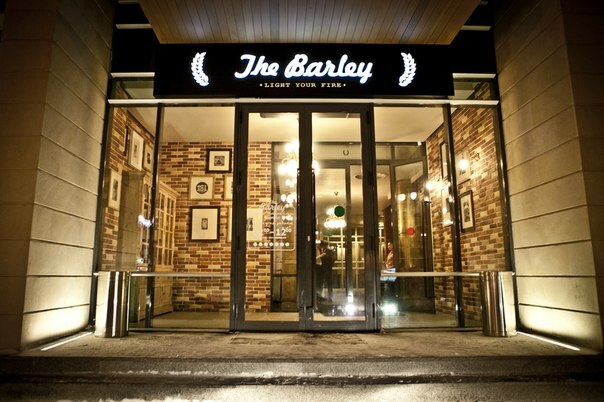 “The beer culture in Astana is evolving,” said Buhmiller, “but despite the competition in the beer market, it is still too early to compare us with such great beer producers like Germany, Great Britain, Belgium and others.” O’Hara is pleased to be catering the capital’s beer fans and contributing to the growing appreciation of good brew in Astana, she said. O’Hara has a couple of house bands who usually play on Thursday-Sunday nights.